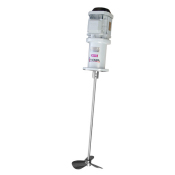 Side-entry agitator for the winemaking industry. Maintenance of solids in suspension. 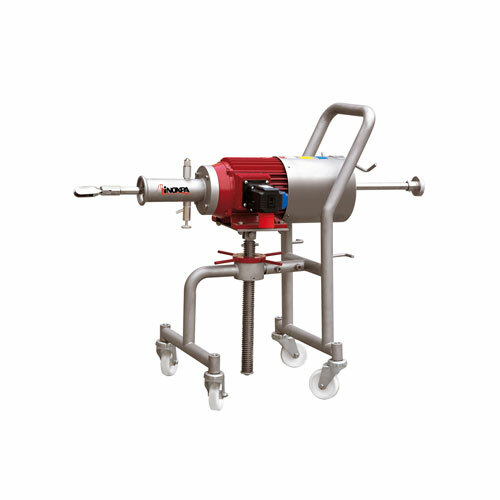 The design of the agitator is based on the shaft that slides through a full bore valve into the tank and a propeller that opens automatically when started. The agitator shaft is provided with a C/St.St./EPDM mechanical seal. 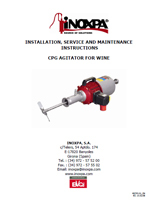 The CPG wine agitators are designed for installation in tanks full of product by means of a full bore valve without losing product and without special tools. The standard mixing element is folding propeller type 12. Electric motor 3 ph, 400 V. , 50 Hz, IP 55, 1450 rpm. 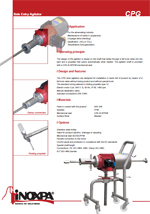 Valve for product injection, drainage or sampling. Female connection to the motor. Control panel and protection in compliance with the EC standards. Connections: FIL ISO 2853, SMS, Clamp ISO 2852, RJT BS-1864,Garolla.